Committed to excellence and integrity, Deborah is a results-driven executive focused on driving performance outcomes and delivering targeted business value. 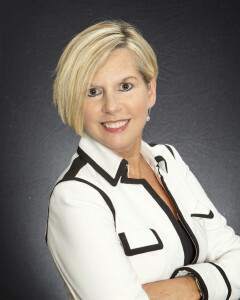 For more than twenty-four years of combined global and domestic experience in senior leadership roles and strategic advising, Deborah has partnered with top leaders and teams to address leadership growth, strategic focus, business acquisitions, team alignment, employee engagement – which has yielded improvements in cost savings, revenue generation, customer satisfaction, and the creation of new business units. Her clients include a variety of Fortune 500 and privately held companies – such as Boeing, Bunge, Citibank, Dunkin Donuts, Enterprise Rent-A-Car, Georgia-Pacific, IPC-The Hospitalist Company, Manitowoc, RGA-Reinsurance of America, SSM Healthcare, Scottrade, World Wide Technology. Deborah’s new book: The Power of Paradox: Harness the Energy of Competing Ideas to Uncover Radically Innovative Solutions, brings a counterintuitive approach to solving problems and drive rapid action. In prior roles, Deborah has been a Partner with The Clarion Group; Senior Vice President – Global Solutions and Managing Principle for Right Management; Global Director – Organization Development for Ingersoll Rand; Senior Consultant for Boeing. Deborah holds a Doctorate in Management from Webster University, a Masters in Education – Business and Industry – from University of Missouri, STL and a Bachelors of Arts in Psychology and Religious Studies from Michigan State University. She has completed the Advanced Program in Organization Development and Human Resource Management through Columbia University; and has served over ten years as Part-Time Professor for three St. Louis, Missouri based universities – focused on Leadership, Strategy, Management and Organization Design. With a passion for people and potential, Debbie mentors youth and young adults as they take intentional steps toward their desired futures!